Want to catch that bus in Malaysia or Singapore? 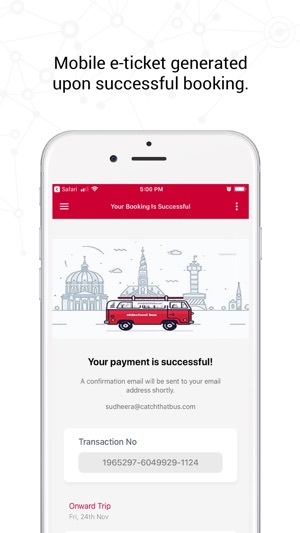 Buy bus tickets online from CatchThatBus at discount prices in a fast, simple and convenient manner. 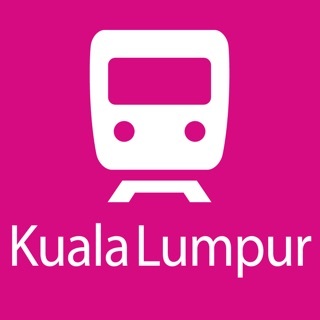 We offer online bus tickets to KL, Singapore, Penang, Melaka, Genting, Kuantan, Johor, Perlis and many more! Choose from reliable bus operators such as Transnasional, Plusliner, Nice, Starmart, Suasana Edaran, Perak Transit, Unititi Express, etc. You can also rent and charter buses using this app so you make sure you always manage to catch the bus! 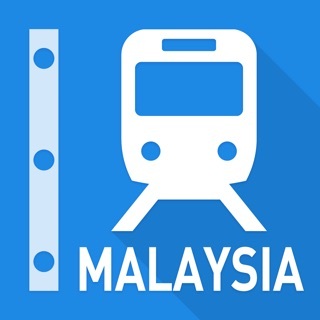 Ingin membeli tiket bas ekspres di Malaysia atau Singapura? 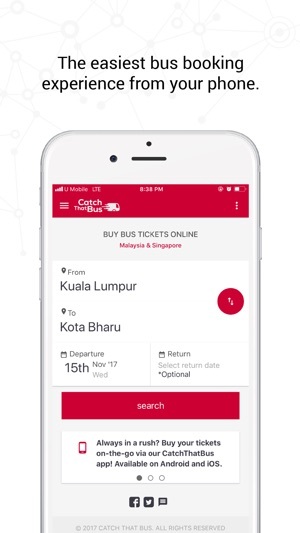 Belilah tiket bas online dari CatchThatBus pada harga murah dan diskaun dalam cara mudah dan senang. Pilih daripada destinasi menarik seperti Kuala Lumpur, Singapura, Pulau Pinang, Melaka, Genting, Kuantan, Johor Bahru, Ipoh, Alor Setar dll! 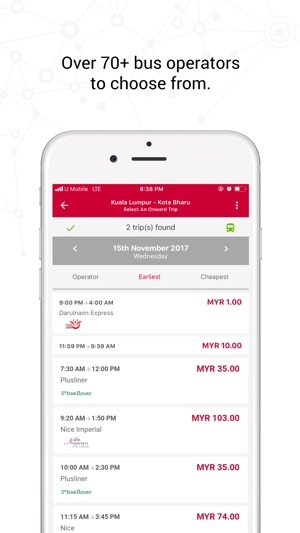 Beli tiket bas online dari operator seperti Transnasional, Plusliner, Nice, Starmart, Suasana Edaran, Perak Transit, Unititi Express dan banyak lagi! 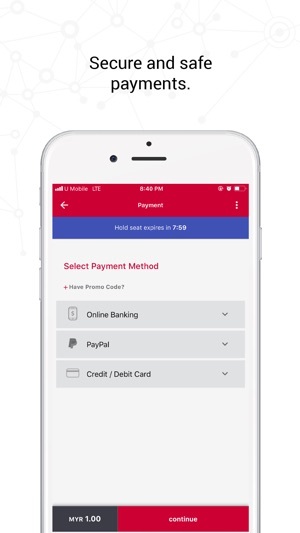 Gunakan app ini juga untuk membuat tempahan untuk sewa bas catar. Simplicity. Variety. Convenience. Always making sure you catch that bus! © Catch That Bus Sdn. Bhd. / Catch That Bus Pte. Ltd. Unfortunately once the app goes to a payment partner ie Maybank we cannot control any ads that Maybank displays. This is beyond our control but we will definitely provide this feedback to our payment processing partner. Very good customer service and very good application. Easy and convenient. But just want to remind you guys please think twice before you decide to choose Maju Express bus. Very bad service especially when I want to get my ticket after buy it through catchthatbus. Apps developer did very well when they use the calendar type for choosing date. CATCH THAT BUS SDN. BHD. © CATCH THAT BUS SDN. BHD.